Visiting monks, according to ch. 61, should live as the rest of the monks and can opt to join the monastery if they wish. However, if they spend their time criticising the monastery and its mode of life, they can be kicked out if annoying. If they do wish to join, the abbot must first make sure that they have the approval of their own abbot when possible. This requires a vision of unity. It’s the ‘no sheep stealing’ rule. Kicking out annoying visitors doesn’t sound very hospitable, but I wonder if it may not at times be required for the peace of the community. And the good of the annoyer! I first encountered this prayer through The Way of a Pilgrim, in the translation of Helen Bacovcin. I’d picked up a used copy at an event in the summer before my fourth year of undergrad; sadly, I lost it along with my copy of The Poems of St John of the Cross on the bus one day. And, while I think it worked out well for me at the time to seek elsewhere for devotional reading, I have since replaced both in the same translations. The Way of a Pilgrim is a classic of nineteenth-century Russian spirituality; it recounts the story of a Russian pilgrim (wanderer?) who meets different spiritual elders and people in his journeys — and learns the art of the Jesus Prayer along the way. In The Way of a Pilgrim, the Pilgrim learns from his spiritual father to pray the prayer many times a day, increasing the number of Jesus Prayers he prays until he attains what is called the ‘self-actuating prayer of the heart’ and prays the Jesus Prayer without ceasing. He also reads The Philokalia, as it turns out (my quick intro to that anthology here). I believe I next met the Jesus Prayer through the work of John Michael Talbot, the summer following graduation. I read The Music of Creation, and it challenged me in various ways. My interest in the mystical/contemplative paths had been piqued by St John of the Cross and Talbot’s work on St Francis already. I’m not actually certain that the Jesus Prayer comes up in that book, but Talbot’s work is where I first met the term hesychasm, and I’ve a feeling I met in that book the idea of praying the Jesus Prayer by inhaling on the invocation, and exhaling with the petition. Anyway, this was the cusp of leaving for Cyprus, where I spent a year having various adventures and doing evangelistic work amongst the international students. I was loaned vol. 1 of The Philokalia by the dean of St Paul’s Anglican Cathedral in Nicosia, I read the whole of The Way of a Pilgrim, and I learned much about the Jesus Prayer and icons and the Orthodox tradition from the priests I befriended there, as well as Richard Foster, Prayer, which I was loaned by my team leader. This was an important time — serving others, praying, delving into Scripture. The Jesus Prayer was not yet really woven into my devotional world, though. However, one way in which Cyprus is important for the Jesus Prayer and Me part of my spiritual journey is the fact that I met the Orthodox and Orthodox liturgy and read Orthodox books and haven’t really stopped since. And that has kept the Jesus Prayer part of my consciousness ever since. For most of my time after Cyprus, the Jesus Prayer was a sometimes prayer. 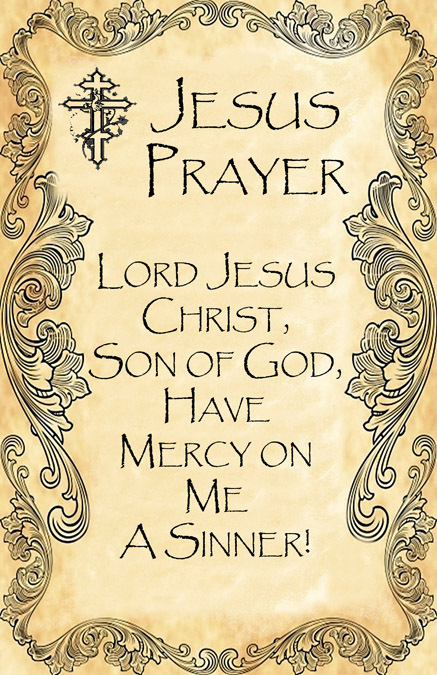 For a period of time, I would pray it in the style of the rosary, replacing the ‘Hail Marys’ with the Jesus Prayer. As Kallistos Ware says in The Power of the Name, it is a good prayer for waiting in queues or walking down the street. It is a way to use our minds in idle moments, turning those moments to prayer and Almighty God. And then came the terrible day when anger got the better of me. In conversation over Skype recently, I held up my copy of The Philokalia, vol. 1, as a way to signify who Kallistos Ware is. ‘Ah yes, that book you’ve been blogging about,’ is an approximation of the response. Which is fair enough. I realised that I’ve not actually told the reading public what The Philokalia is. Since it is what my brother and I are slowly wading our way through (and hopefully becoming better pray-ers as a result), here we go. 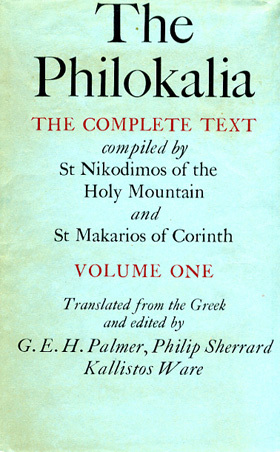 The Philokalia is a multi-volume anthology of Greek spiritual texts on the subject of prayer. The authors range from the fourth through the fifteenth centuries. So far, the English translation includes four out of a proposed five. The inescapable, inimitable Met Kallistos Ware (for many of us, our first introduction to Orthodoxy, through The Orthodox Church and The Orthodox Way) is one of the translators. The collection was assembled on Mt Athos, the monastic/spiritual heart of Orthodoxy, in the 17th century by Sts Nikodimos and Makarios. You may recognise some of the authors they included: Ps.-Antony the Great, Evagrios ‘the Solitary’ (aka ‘Ponticus’, in the original attributed to St Neilus of Ancyra), St Maximus the Confessor, St Makarios the Great, St Gregory of Sinai. This multi-volume anthology is not a comprehensive guide to the entire ascetic life. As I said, it is about prayer. Thus, the external aspects of Christian spirituality, such as fasts and vigils, are lacking. In fact, it is not even about the entire life of prayer. It is about ‘inner prayer’, about the inner kingdom, about the prayer of the heart. I believe that in its later volumes (they arranged roughly chronologically) it is more specifically about The Jesus Prayer (I’ll discuss that prayer soon, I think). The bad can thus be removed. It is an approach towards intimacy with God. i. St Kallistos and St Ignatios Xanthopoulos, Directions to Hesy-chasts (Philokalia IV, 197-295, English translation Kadloubovsky and Palmer, Writings from the Philokalia, 164-270) (27). ii. St Hesychios the Priest, On Watchfulness and Holiness (Philokalia I, 141-73, English translation I, 162-98). iii. Evagrios the Solitary (alias Neilos the Ascetic: i.e. Evagrios of Pontus), On Prayer (Philokalia I, 176-89, English translation I, 55-71). iv. A Discourse on Abba Philimon (Philokalia II, 241-52, English translation II, 344-57). v. St Gregory of Sinai, On the Signs of Grace and Delusion; On Stillness; On Prayer (Philokalia IV, 66-88, English translation IV, 257-86) (28). But here I strongly recommend readers not to attempt the physical technique mentioned by St Gregory, unless they are under the direct instruction of an experienced spiritual teacher. When I found this slim volume for 5 euros, I snatched it up since I am a fan of both St Francis of Assisi and John Michael Talbot. I assumed at the time of purchase that this book would largely be a recasting of material from Talbot’s early book The Lessons of Saint Francis: How to Bring Simplicity and Spirituality into Your Daily Life. I was wrong – this an entirely new volume of a different nature from that earlier work. 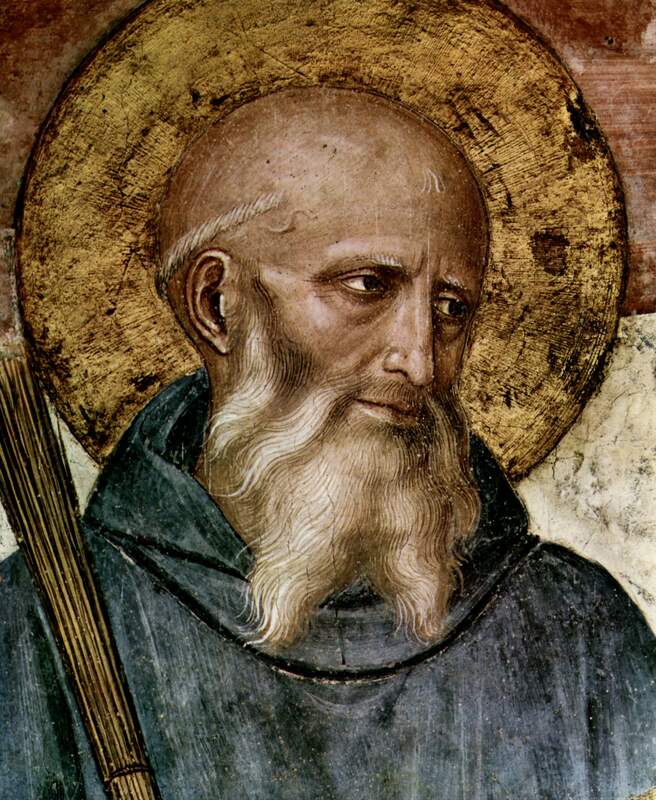 Whereas that earlier work was largely a culling of particular lessons from the saint’s life and work as represented in his biographies, the ‘little flowers’, and his texts, this volume is a collection of brief reflections of three elements of St Francis: the story of his conversion and then two texts, The Rule of 1223 and the Testament from 1226. The writing style in this book is like St Francis – simple and straightforward. Talbot is not trying to trick us with rhetoric or to be fancy the way a writer like myself would. He writes his thoughts and writes them in quick, simple sentences. He also repeats himself at times, which is actually a helpful tool in bringing home a point and instilling it in the mind. 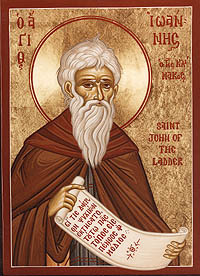 This is all, I believe, part of Br John Michael’s technique, for his other books that I’ve read (besides Lessons, The Music of Creation), his online articles, and his music demonstrate a depth and power that this book hints at. This is good, for it is obvious to me that the whole point of this wee book is, on the one hand, to encourage those new to the Franciscan tradition to wade in the water, and, on the other, to get the rest of us to take ourselves less seriously and rediscover the joyful simplicity of the early thirteenth-century spirituality of St Francis. The biggest departure from most books on St Francis is Talbot’s treatment of the conversion. Usually, as in Chesterton’s Saint Francis of Assisi or the film Brother Sun, Sister Moon, we are presented with the sudden tale and snap conversion of Francis from young, gallant knight to fraticello in a moment. Br John Michael takes us through the long story, however, showing us the different stages in Francis’ conversion, from capture to Crusade to illness to penitent to hermit, etc. We are reminded that our own story, even if there is a great moment where we turn from our old ways to Christ Who is the Way, is itself a gradual series of turning posts and transformations. We are still being converted. His reflections on the Rule discuss generally what a Rule is and how it binds the brothers, and how all of us can benefit from our own rules and constitutions. He relates about the rule and constitutions of his own community, the Brothers and Sisters of Charity. Talbot goes through the rule and Testament, highlighting specific passages and ideas for comment, reminding us of St Francis’ commitment to Gospel-centred living, to Jesus Christ, the church, the sacraments. Here we are called again and again to Jesus, to simplicity, and to prayer. Talbot encourages us to live the disciplined life, to pray the Divine Office, and to seek out true charity for our neighbours. If you want your affection for St Francis renewed, or are looking to introduce St Francis to a friend, I highly recommend this book. Dispassion (Gk apatheia) is one of the harder aspects of traditional Christian spirituality to sell today. I know that I have a hard time with it, and when I first heard John Michael Talbot sing, ‘Prayer is the state of dispassion’, I was greatly concerned. At first glance, this term, whether applied to humans striving for perfection or to the already perfect Jesus/God, seems to be promoting not feeling anything, living life with a lack of emotion. And, certainly, there are times when spiritual writers sound like that’s just what they want — no laughter, no tears, no swellings of emotional feeling of any type at any point. Jesus knows where true power lies. He can command the wind and waves to stop at any time. Therefore, he can sleep through a storm because he is not afraid of its power. One greater than the storm is here. Jesus is chill. In it’s earliest meaning, this is what is meant to be ‘cool’ — that bad stuff doesn’t faze you, that you can handle it and be level. When great stuff comes, you don’t get too wound up, either, because you know that the great things in this temporal existence are fleeting, anyway. There’s a great anecdote that legendary comics writer Grant Morrison — the man responsible for one of the best Superman stories in recent memory, 2005’s “All-Star Superman” — tells about Superman in his memoir “Supergods.” In the memoir, he mentions the inspiration for his story — he was at a convention, and he saw a handsome man in a Superman costume just sitting down and relaxing on a stoop. That was Morrison’s epiphany: The most powerful man alive wouldn’t be tortured but instead would be the friendliest, most relaxed person you ever saw. Now, Superman is fictional, and none of us is ever going to be as big as Jesus. Superman can fly, shoot lasers out of his eyes, use X-ray vision, lift really heavy stuff, and is impervious to bullets. Jesus is God in the flesh; in His time on earth, He walked on water, turned water into wine, rose people from the dead, healed the sick, cast out demons, calms storms with a word, and then rose from the dead Himself. None of us is likely ever to do the sorts of things Superman does in Action Comics, although by the grace of God I think some may do the sorts of things Jesus does in the Gospels. Either way, we are not as likely to be as chill as either Jesus or Morrison’s Superman. I’ve blogged about the passions before, so I won’t detain us long on them. But it is freedom from the disordered desires of human life that dispassion refers to. The dispassionate person is not a soulless shell with no emotion. Rather, freed (by the grace of God) from being battered all day by his or her passions, the dispassionate can see clearly, can know truly what truth and good are, what falsehood and evil are. And can live accordingly. All of this, as the best of the spiritual guides remind us (Climacus, Cassian, Theophan the Recluse among others), is by God’s grace alone. But, typically, God brings us to such a place only through the experiences and activities of life. As G. K. Chesterton said, ‘One cannot grow a beard in a fit of passion.’ I’ve a feeling that dispassion — or, as Cassian circumlocutes is, purity of heart — is the same way. John Michael Talbot on the Jesus Prayer! So, if anyone could make me want to become Roman Catholic, it wouldn’t be someone like Pope Emeritus Benedict XVI with his erudition or someone else like that. 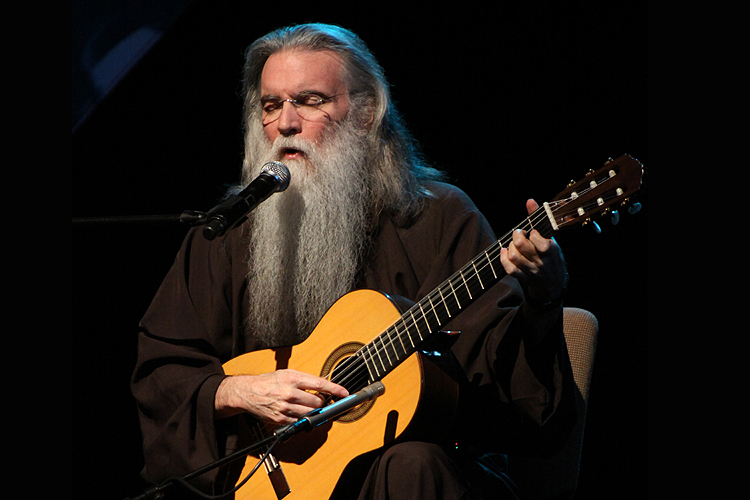 It would be John Michael Talbot, lay Franciscan and folk musician who writes songs inspired by Scripture, Catholic mystics, the Eucharist, and so forth. Also, like Kallistos Ware, he has a tremendously mind-blowing beard. The beards, people! The beards!!! Anyway, John Michael has been giving talks on the Jesus Prayer around the USA of late, and is going to be releasing a new book on the subject in September, The Jesus Prayer: A Cry of Mercy, A Path of Renewal, from IVP, no less. You can pre-order from his website, or — if you lurk outwith the USA (like me) — Amazon. And, in the lead-up to the release, he is going to give us a series of YouTube videos with his teaching on the Jesus Prayer! This is very nice of John Michael, and I’m glad he’s done it. The first video is up already, and in it he discusses very briefly about Christian East and West, and Pope John Paul II’s reference to the Church having two lungs. We western Christians at some point stopped breathing with our mystical lung, and we can learn much from Christians of the eastern traditions. So he gives us the Jesus Prayer, tying it to the practice of breathing prayer, something he discusses in his earlier book The Music of Creation.